I was introduced to this site by my colleague. After giving CCBA demo exam, i was so impressed that i immediately subscribed to premium membership. With so many Business Analysis Capability certification questions to practice, i felt like i was a kid in a candy shop. I used my 2 months unlimited access to the hilt and at the end, when i gave the actual exam, i felt like i was giving one of the easiest IIBA CCBA mock tests. Friends, my score in the CCBA exam is above my expectations and am very proud of it. 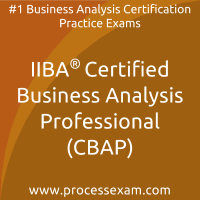 I got my result in IIBA Certified Business Analysis Professional (CBAP) Exam and today i have even started working. This is like a dream come true. I am thankful to god that i came in touch with these awesome practice questions on this site. 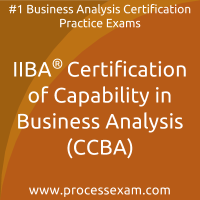 It has been designed for ample practice and good knowledge of the IIBA certification exam.